With Valentine’s Day approaching, many people are taking inventory on their love life, whether it’s healthy, lacking or could use a bit of oomph. For some, they would like to bring in a new significant other, others may want help improving their relationships and many would rather spend their energy and time working on self love and acceptance. By wearing and/or carrying crystals you can shift the energetic dynamic of your love life. Rose Quartz – Is 100% the vibration of unconditional love for oneself and/or others. Prehnite – Gentle healing of the physical and emotional heart also calls in Archangel Raphael for healing of the heart chakra. Garnet – Brings in passion, excitement, sizzle and pizzazz! Fire Agate – Gives you the energy and stamina to get the ball rolling. Fire agate activates change. Mangano Calcite – Soothes past disappointments and wounding. Opens up the heart chakra. Moonstone – Brings in a softer, romantic vibe to any relationship. Moonstone also helps with self acceptance and self love. Rhodocrosite – Lifts depression and brings in a peaceful outlook on life. Rhodocrosite stimulates and activates the heart chakra. ​After selecting the crystals you would like to work with, be sure to cleanse them with sage or a crystal cleanse. Next, program them with your desired intention. 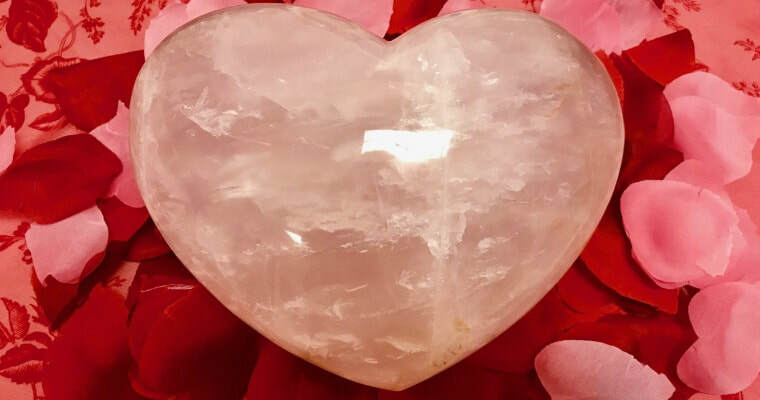 Put the crystal (s) on top of your intention to bring unconditional love into your life – Recite the intention – I am opening my heart with ease and trust.